Ruins of the fort on Kunta Kinteh Island amidst the waters of the Gambia River. The first Europeans to come upon what was once called James Island were Portuguese navigators on their second expedition up the River Gambia in 1456. The island contains the ruins of structures once built by colonial Britain and was the last strip of African land the natives saw before being plunged into the into the transatlantic slave trade. The area was eventually purchased by the Baltic Germans in 1651, who built the first fortifications on the island and used it as a base for trade between Lithuania, Latvia, and these new African provinces. The Dutch held it briefly from 1659 till 1661, when it was seized by the ‘Royal Adventurers of England Trading Into Africa’ who had a charter from Charles II to prospect for gold and trade in ivory and slaves. The island was subsequently renamed after the future king James III. James Island was Britain’s first permanent settlement in Africa, though the region frequently changed hands between the British and the French over the course of the next two centuries. After the British Empire passed the Slave Trade Act in 1807 abolishing slavery, it built the Six-Gun Battery and Fort Bullen on either side of the River Gambia to thwart slave trafficking. The island and the surrounding sites were finally abandoned in 1870. Kunta Kinteh Island, or James Island, the Battery and Fort Bullen are visited as part of the greater ‘Roots’ tour, which includes the nearby villages of Juffure and Albreda. There is also a museum dedicated to the history and culture of the region. The Island and the fortifications are UNESCO World Heritage sites. Since 1986, Gambia’s Department of State for Tourism and Culture has established the annual International Roots Homecoming Festival. Conducted as a ‘heritage week’, the event aims to encourage the African Diaspora to tour the sites. The festival has a day-long pilgrimage to Kunta Kinteh Island, Juffureh and Albreda. Visitors here can see the ruins of the slave trade infrastructure, such as the caves and prisons where slaves were imprisoned before being shipped off to the American colonies in sub-human conditions. Kunta Kinte Island was so named after a character in the novel Roots: The saga of an American family by Alex Haley, who claimed that Kunta Kinte was based on his Gambian ancestor, who was brought to America as a slave in the latter part of the 1700s. The novel was later adapted to two U.S. television series. The island and its connected sites on the River Gambia are a living testimony to the various aspects of European colonialism in Western Africa, spanning between the 15th and 20th Centuries. The river was the first route to the interior of Africa and was heavily used in the slave trade. All the sites including the nearby villages and the remains of European settlements and fortifications are intricately linked to the beginning and the end of the slave trade. The island and most of the related sites are now largely in ruins. Two of the major buildings were restored in the nineties and others in varying degrees of disrepair have been stabilized. The isolated position of the structures keeps them relatively safe but they are especially vulnerable to the effects of sea erosion. A buffer zone adjacent to the sites also keeps them free from undesirable development. 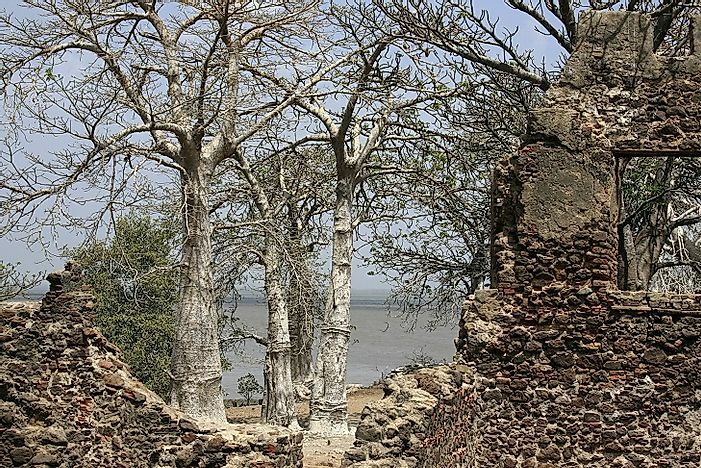 The island and the historical buildings in the Juffureh-Albreda Complex are legally protected under Gambia’s National Council for Arts and Culture (NCAC). The ruins need ongoing monitoring and maintenance to give them the best chance of survival. Financial resources required for these tasks are scarce and come chiefly from entrance fees. What Is A Bastion Fort?